RABBI BAHIR DAVIS, known as ReBahir, is from a rabbinic family that includes his brother, father and grandfather. He studied to become a rabbi at various yeshivas in the United States and Israel and holds two Smichot; one signed by rabbis from many branches of Judaism, including the late Rabbi Alexander Schindler (zt’l) past President of the Union of Reform Judaism, and another from the founder of the Jewish Renewal movement, Rabbi Zalman Schachter-Shalomi. ReBahir is a Maggid (storyteller) in the best tradition of Jewish storytelling and is known for his vibrant humor and imagery. 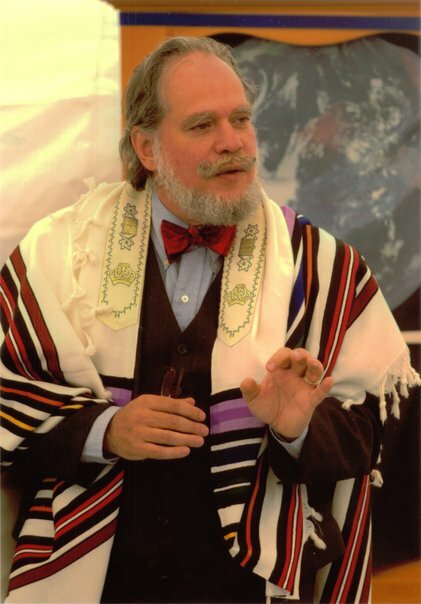 His eclectic background and study of Zen Buddhism, Japanese culture, Aikido, and Native American culture inform his approach to Judaism and have opened up many insights on the nature of the Jewish path. He has worked with numerous outreach programs, held the post of Executive Director of the Introduction to Judaism Program for the Union of Reform Judaism, and has served as a congregational rabbi. ReBahir chooses not to be connected with any one movement, preferring to serve the entire spectrum of the Jewish community.